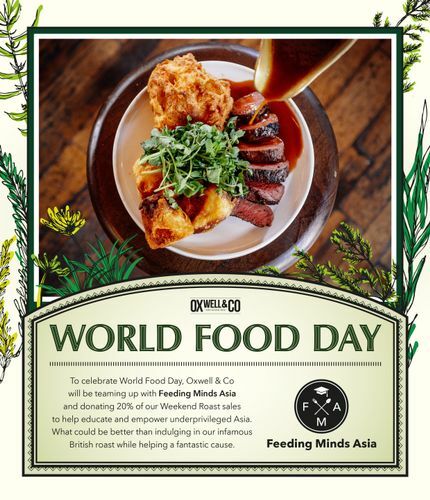 In conjunction with World Food Day, Oxwell & Co will be giving back by teaming up with Feeding Minds Asia and donating. 20% of its proceeds from the sales of Weekend Roast across 15th and 16th October (Saturday & Sunday). If you've been thinking about trying our Weekend Roast, there's no better time to do so. Come and enjoy our hearty spread of delectable roasts while attributing the life-long gift of an education to children in the developing ASEAN region. All funds raised will go towards the “Educate a Girl” scheme, where $300 can sponsor a girl through a full year of education in Cambodia, Laos or Vietnam.